A Nexus-6 replicant in Blade Runner. According to a bonus feature on the new Steelbook Blu-ray edition of Prometheus the answer is a confirmed yes, there is a connection between the Weyland Corporation and Blade Runner’s Tyrell Corporation [click the link to view], and proof that Blade Runner and the Alien movies take place within the same universe. This is something we’ve been speculating about since before Prometheus was released, thanks to a couple of videos released back in April. Although there are all kinds of inconsistencies of both universes if taken together – even Alien, Predator and Prometheus franchises have inconsistencies with each other (and with their own material!) – there is nothing that science fiction cannot remake and reinterpret. I don’t know if that sounds too good to be true, or actually to much for one fiction universe: Aliens, Predators, Engineers, then Terminators and now also Blade Runner?! 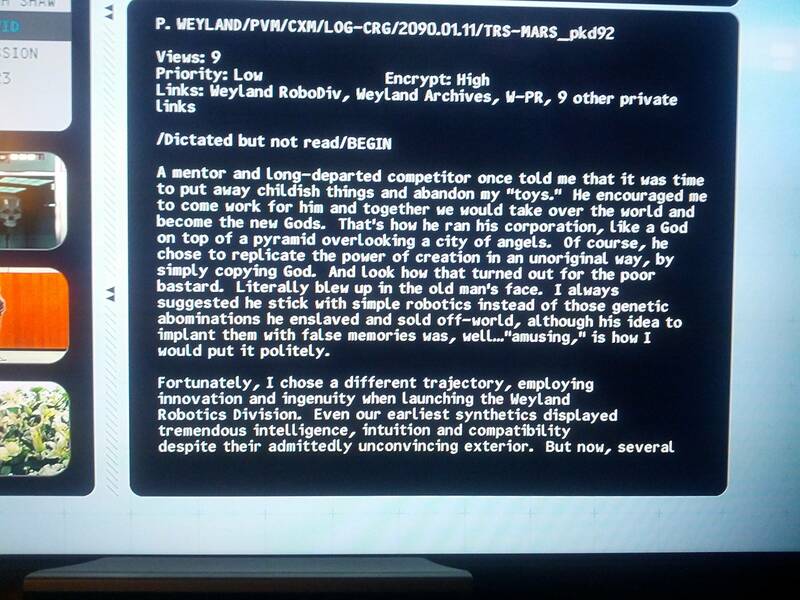 Redditor Huxleyism found this entry from Peter Weyland’s journal in the Blu-Ray bonus features, indicating that, in his youth, Weyland knew Dr. Eldon Tyrell and that the two debated the use of biological replicants vs. mechanical androids. Please make your product safe for human use. The skin is our largest organ and it’s absorbability of toxin ingredients is immense. These chemicals have been found in the fat and blood tests of humans young and old. Our organs aren’t made to filter multiples of toxin bombardment daily from daily use of poorly made products. We should have confidence that companies are making products for our best health and not detrimental.